Weak sellers talk only about price. Our workshop will give them something better to talk about... Value. Value Selling starts when your sellers understand how your proposition creates value for buyers in your target market. Our business tool takes sellers through the process of building their own Value Selling model from their own Value Proposition. Delegates work with their own product offering so they develop sales tools that they can take straight out and use the next day making the ROI almost immediate. 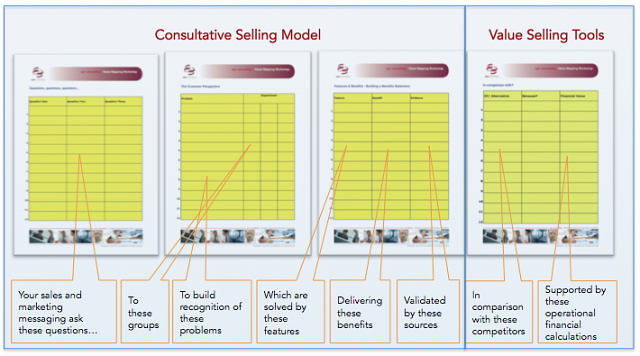 Working within this framework… Your own value selling model will emerge. When we develop this with your own salesforce, the value selling model will be exactly where you need it – in the hearts and minds of the salesforce which created it. We use this model to run workshops for directors and senior managers, to inform their thinking about product development and strategic planning. We also run workshops for sellers to give them advanced sales tools for value selling. Don’t let your sellers struggle under price pressure from tough buyers. Once they have a sales tool box full of value selling tools, they’ll have everything they’ll need to win more sales, speed up the buying cycle, and extend their margins. Whether you need to achieve higher margins or greater sales conversion, value selling is a sales model that you should consider. If you call us and tell us about your own sales context and what you need to achieve, we can advise you about it’s suitability. If your sales team are finding it hard to close their sales, it is not necessarily a problem with their closing skills. Are they actually creating enough motivation to buy? Because if there is no motivation to buy, your sellers can close as hard and as often as they like, the buyer is not going to say “yes”. Helping your buyer understand the financial imperative, the cost of not investing in your proposition, starts with a discussion about value, and moves in to ROI. Book a Training Workshop for your Sellers? We can deliver Value Selling training workshops for you, either on-site, or off-site, wherever you are located. Usually structured around groups of 6 – 10, Sellers work together to understand how your Value Proposition delivers value for your customers, and how to improve their sales results though putting this knowledge into a Value Selling model. They learn some theory (answering the question “Why should we do it like this?”) and plenty of practice (answering “How do we do this in a real selling envronment?”). The workshop structure gives participants plenty of opportunity to practise what they are learning. Our Value Selling models are tried and tested, though don’t please take that from us. We’ll be delighted to put you in touch with our clients who can share their first-hand experience directly with you. “I learned more in the first half-day with Charles, than I learned in the whole four days at [Major branded UK Sales Training competitor]” Thank you Will! (Enterprise Computing sector) for this, unprompted, feedback 25/01/19. 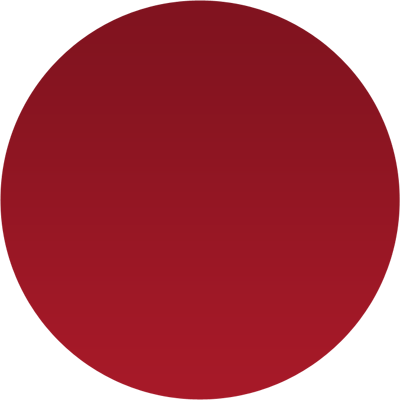 Find out more about how we can help you by calling us directly, or by completing the contact form below.